Welcome to Best Western Plus Newport News Inn & Suites! Guests who need to be close to Newport News Airport PHF can enjoy an easy commute for those flights when staying at this accommodating Newport News hotel. Stay near Busch Gardens where the excitement of the park is only a few minutes away. With Fort Eustis and Christopher Newport University also in the neighborhood, it's never been easier to mix business with pleasure. Travelers can make that campus event and then schedule the rest of the day at fine dining restaurants, sightseeing adventures or simply relaxing. The Patrick Henry Mall is a great place to start any vacation and is a shopper's paradise. 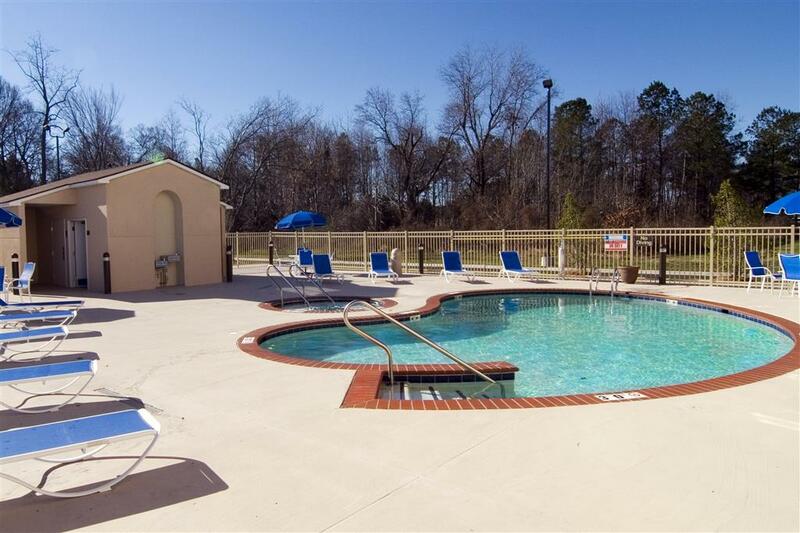 This Newport News hotel is close to all major restaurants and corporate areas, making zipping around the area simple. However, with a seasonal hot tub and outdoor pool, many guests prefer to stick close to their rooms. All rooms are mini suites, so there's plenty of space to stretch out and rejuvenate. Just 12 miles away is Busch Gardens , and the Virginia Beach is a quick 45 minute drive away. Whether beach bumming or thrill rides are more your speed, you can have it all. Yorktown and Jamestown are nearby historic areas and musts for history buffs or anyone who prefers a little culture. The Mariners Museum is a real treat and the perfect complement to any itinerary. Business travelers with Jefferson Lab often stay at this Newport News hotel, and there's a special negotiated rate just for these employees. Workers with Cannon are also frequent guests as well as many business travelers in town for meetings and conventions. Airport travelers are always welcome, especially considering the property is less than a mile from the airport and highway exit. However, this is no traditional airport hotel. There are more than runways close to this Newport News hotel. The nearby Hampton Coliseum always has something fun happening, and is an excellent choice for a little recreational fun. Enjoy your stay! Starbuck's: .5 mile(s) from Starbuck's, Coffee Shop, 9:00 a.m. to 11:00 p.m.
Outback Steakhouse: Across the street from Outback Steakhouse, Steakhouse, 10:00 a.m. to 11:00 p.m.
Don Pablos: Across the street from Don Pablos, Mexican, 4:00 p.m. to 11:00 p.m.
Ruby Tuesdays: 2 mile(s) from Ruby Tuesdays, American, 9:00 a.m. to 11:00 p.m.
Red Lobster: 1 mile(s) from Red Lobster, Seafood, 10:00 a.m. to 10:00 p.m.
Olive Garden: 1 mile(s) from Olive Garden, Italian, 10:00 a.m. to 10:00 p.m.
Samuri: Adjacent to Samuri, Japanese, 10:00 a.m. to 10:00 p.m.
Cracker Barrel: Adjacent to Cracker Barrel, American, 6:00 a.m. to 11:00 p.m. Cheers: 1 mile(s) from Cheers, American, 10:00 a.m. to 10:00 p.m.
Applebee's: Adjacent to Applebee's, American, 10:00 a.m. to 11:00 p.m.
Cheddar's: 1 mile(s) from Cheddar's, American, 10:00 a.m. to 11:00 p.m.
Chic-Fil-A: .4 mile(s) from Chic-Fil-A, Fast Food, 10:00 a.m. to 11:00 p.m.
Wendy's: Adjacent to Wendy's , Fast Food, 6:00 a.m. to 1:00 a.m.
From: From Interstate 64. Take Exit 255A, at second traffic light turn right, the Best Western Plus Newport News Inn & Suites is on the left.